A real environmental threat. Is water the new oil? The global demand for water will soon outstrip supply. Population growth and agricultural demand, combined with aging infrastructure and waste, have produced water scarcity in many countries. What's the solution? 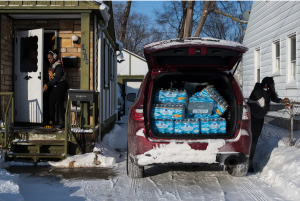 It’s too hopeful to think the Flint, Mich., water crisis is over. Five years ago this month, the city began using the corrosive Flint River as its main source of water, which ate away the city’s pipes and leached lead into the drinking water of thousands of residents. 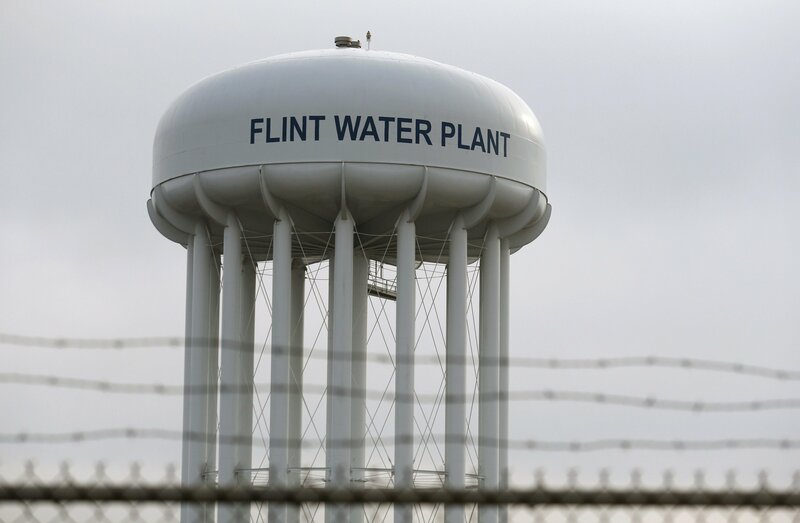 Eighteen months later, the city reconnected to Detroit’s clean water supply after studies confirmed what parents had been telling officials: that lead from their taps was poisoning their families. Since then, the state of Michigan has declared Flint’s water safe to drink. Thousands of lead-tainted pipes have been replaced. More than a dozen officials connected to one of the worst health disasters in U.S. history are facing criminal charges. A much-needed review to allow more storage and less waste. Donald Trump ran as a champion of the forgotten man, and few have been forgotten more by the political class than California’s parched farmers. On Friday the President made good on a campaign promise to deliver more water to more people. These restrictions are intended to prevent smelt from getting ensnared in the pumps and to maintain a pH balance suitable for fish. Nonetheless fish populations have continued to decline, which some biologists attribute to predatory species like the striped bass and wastewater. California has an arid climate in the best of times. Yet tens of billions of gallons of water each year are wasted because of restrictions on pumping in the Sacramento-San Joaquin River Delta that are intended to protect fish including smelt and chinook salmon. One problem is that California lacks storage capacity in the north to capture the abundant precipitation that falls in the mountains during wet years, such as 2017. Runoff then rushes into rivers that dump into the delta rather than flowing south or into reservoirs for storage for the dry years. The other major problem is federal regulations, known as biological opinions, that limit the rate at which water in the delta can be pumped to the south of the state. In 2010 federal Judge Oliver Wanger scored the U.S. Fish and Wildlife Service for “sloppy science and unidirectional prescriptions that ignore California’s water needs.” The Ninth Circuit Court of Appeals largely concurred with Judge Wanger’s assessment but concluded that pumping restrictions were necessary to “counteract the uncertainties” of the government’s analysis. Enter President Trump, who has ordered the Departments of Commerce and Interior by 2019 to review their sloppy science and revise the fish biological opinions. His Friday executive order also directs the agencies to streamline regulatory reviews for western water projects. The President’s reprieve couldn’t come at a better time since California regulators this summer proposed again to sharply restrict water deliveries to farms. 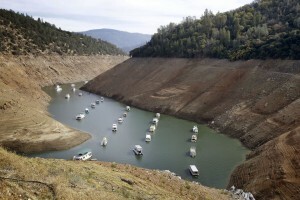 The state also enacted legislation making water rationing limits permanent. These include limiting indoor use to 55 gallons per day per person and restrictive rules for farm water management. Most Californians may not like President Trump, but his water decision is another case in which his willingness to challenge political shibboleths will help average people. Could Higher Costs for Water in California Curb Water Waste?